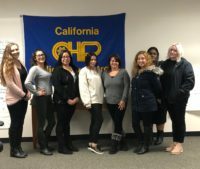 WEST SACRAMENTO - Five California Highway Patrol (CHP) Dispatchers training at the CHP Academy in West Sacramento met with CHP-Public Safety Dispatchers Association (CHP-PSDA) President Tina Brazil on July 16, 2018. 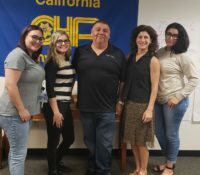 Brazil conducted a New Employee Orientation along with CSLEA representatives George Pina and Marco Castro. 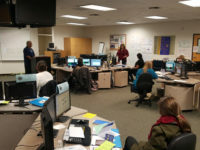 The orientation explains the benefits and services of CSLEA and CHP-PSDA and puts some faces to names for the dispatchers.